Experience the world premiere of a theater project by Ping Chong + Company, created in collaboration with and featuring members of Dearborn’s Arab American community onstage. A “seated opera for the spoken word,” the play will explore racism, the growth of the Arab American community, and the impact of Islamophobia. Founded in 1975 by acclaimed theatrical innovator and National Medal of Arts recipient Ping Chong, the company creates works of theater and art that explore the intersections of race, culture, history, art, media and technology in the modern world. Ping Chong + Company will conduct extensive interviews with residents who identify as Arab American. 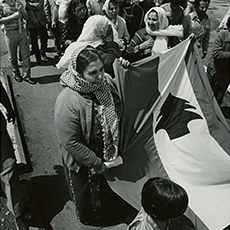 We are looking for stories that reflect a wide range of Dearborn experiences. No previous performance experience required! For more information and to submit an application, click HERE. Presented in conjunction with the opening of the AANM exhibition Mihrab. Made possible by Knight Foundation and Metabolic Studio.